One of the great gifts of the yogic path is that it returns us to a life of simplicity, even as we go about our lives in a world of growing complexity. Through practice, we ultimately find the freedom to be who we really are, and allow others do the same. This was Patañjali's original intention when he penned his legendary sutras. But when a text is over 2,000 years old, important things can get lost in translation. 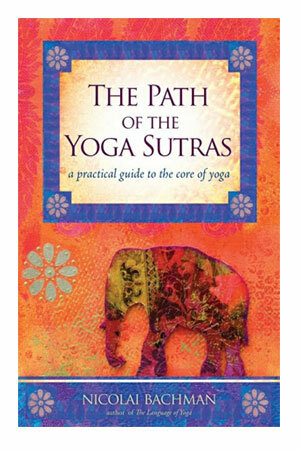 For today's yoga student looking to take their practice “off the mat and into the world,” Nicolai Bachman presents The Path of the Yoga Sutras. By organizing the sutras into 51 core concepts that support the Western student in germinating and blossoming these potent “seed” teachings, Bachman has created a breakthrough tool for integrating yoga philosophy and practice, whatever your level of experience.